Dr. Scott Wehrkamp is an O’Gorman High School graduate from Sioux Falls. He received his Bachelor of Science degree in 1975 from South Dakota State University, and then his Doctorate of Dental Science from Loyola University Chicago School of Dentistry, Chicago, Illinois. He has maintained a private practice with his brother, Jeff since 1981 in Brandon, South Dakota. 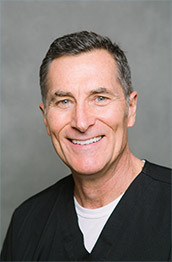 His comprehensive/cosmetic approach to case management has evolved to include orthodontics (both straight wire and Invisalign), cosmetic periodontal surgery (both root coverage and clinical crown lengthening), implants (both placement and restorative), and single tooth to full-mouth reconstruction. In 2008, Dr. Wehrkamp achieved Accredited status in the American Academy of Cosmetic Dentistry (AACD) – joining 286 dental professionals in the world who earned this prestigious designation. The AACD is made up of over 6,000 cosmetic dental professionals in 70 countries around the globe. Dr. Wehrkamp's most recent career accomplishment (March 2012) was becoming a Fellow in the International Congress of Oral Implantology. This distinction is awarded after 75 hours of continuing education regarding implants and successfully treating and documenting 20 successful implant cases. Dr. Scott not only restored, but also surgically placed the implants for all of these cases. He is the father of a son, Bryan and three daughters, Whitney, Kelley, and Lyndsey (deceased). His interests include fitness, bow hunting, hunting, fishing, snow skiing, and tennis with family and friends. Dr. Scott may be reached at scott@smilesrpriceless.com. After graduating from Lincoln High School in Sioux Falls, South Dakota in 1973, Dr. Jeff attended South Dakota State University. He received his Bachelors of Science degree in 1978, with a major in Biology and minors in Chemistry and Art. That same year he moved to the Chicago suburb of Maywood, Illinois to attend Loyola University School of Dentistry. In 1981 he received his Doctor of Dental Surgery degree and joined his brother, Dr. Scott, in practice. 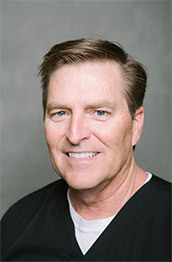 Dr. Jeff is a member of the American Dental Association, South Dakota Dental Association, Southeastern District Dental Society, and American Academy of Cosmetic Dentistry. He is also a member of Risen Savior Catholic Church, Knights of Columbus, Chamber of Commerce, Rocky Mountain Elk Foundation, National Wild Turkey Federation, Pheasants Forever, Delta Waterfowl, Ducks Unlimited, and the Izaak Walton League. Dr. Jeff has held various active positions within these organizations, the most noteworthy are past President of the Southeastern District Dental Society, former Delegate and Trustee of South Dakota Dental Association, and was awarded the first Young Dentist of the Year recognition in South Dakota. He has served as past President of the Brandon Chamber of Commerce for two years, past President of the Brandon Jaycees for two years, past Chairman for the Chamber of Commerce Local Arts and Crafts Festival for twenty years, current Chairman for the Splitrock Ducks Unlimited Chapter for the past ten years, and is the current President for the Sioux Falls Izaak Walton League. He is also listed in the 21st edition of Who’s Who in the Midwest. Dr. Jeff has pursued continuing education with a passion. He has studied and mentored with Dr. Pete Dawson, Dr. John Kois, and Dr. Mark Pieper. He also has been involved with the Academy of Cosmetic Dentistry for over ten years. Dr. Jeff married his wife Sandy in 1981. Sandy has her Masters degree in Education and teaches at Lincoln High School in Sioux Falls. She is also an avid fitness instructor at various health clubs in Sioux Falls and Brandon. Dr. Jeff and Sandy have three children and five grandchildren. Dr. Jeff’s interests include the outdoors of which hunting and fishing consume most of his time. He also enjoys golf, photography, and fine art. Dr. Jeff may be reached at jeff@smilesrpriceless.com.